After a not-so-exciting victory against Dinamo Zagreb, Los Galacticos travel to the City of Valencia Stadium to take on Levante. At the end of two rounds, Real Madrid lead the table and most importantly have opened a gap of two points with FC Barcelona, thanks to the heroics of Real Sociedad. Mourinho cannot afford to slip up and lose such a precious advantage and will try to maintain it as long as possible. Levantea��s heroics last season might be difficult to replicate, as Luis Garcia, their inspirational coach has moved to Getafe for a new challenge. Moreover, their star striker last season, Felipe Caicedo, has been sold to Lokomotiv Moscow and replacing him is definitely a difficult task for the new man in charge – Juan Ignacio MartA�nez. Last season, both teams met four times, twice in La Liga and in the Round of 16 of Copa Del Rey a�� Real Madrid emerged winners twice, drew and lost once. The interesting point is that the Los Blancos haven’t scored in the games at Ciutat de ValA?ncia, which means that they haven’t won any game at Levante’s home last season. The new season has started on an unimpressive note for Los Granotes. They drew both their matches so far, against Getafe and Racing. Against Getafe, they were lucky to come out with a point and against Racing, they showcased very less attacking intent. Levante have made significant changes to the team with ten players departing and eight arriving; notable departures being the top two scorers a�� Felipe Caicedo and Stuani. RubA�n Estrada started against Getafe and KonA� against Racing and with of both of them proving to be ineffective upfront, Juan Ignacio MartA�nez will be tempted to start with Aranda, the new signing from Osasuna. However, expecting him to repeat the heroics of Caicedo will be way too much. Vicente Iborra and Xavi Torres will be employed to strengthen the midfield and provide the necessary impetus in attack and cover in defense as the holding midfielders in a 4-2-3-1. Valdo, Juanlu and Barkero complete the midfield and with Asier Del Horno doubtful for the clash, Nano, Ballesteros, Juanfran and Venta are expected to carry out the defensive duties. Attacking Real Madrid will be foolish. So, Levante can just sit back and try to absorb as much pressure as they can with creating two barriers in front of their goal to deny the Blancos any space to move freely around their box. Real Madrid have deadly pace and they need to nullify this by sitting deeper and disallowing the visitors to run with the ball at them. They can only afford to threaten if any defensive error is committed and through set pieces. Against Levante, Mourinho will look forward for his team to dominate possession. The important question however, is whether they can convert this possession into goals? After receiving stitches on his right ankle, after the Dinamo clash, Cristiano Ronaldoa��s availability is doubtful. This could reduce the zing in Madrida��s attack and put greater responsibility on the rest. CallejA?n may not be ready to command a starting berth in this line-up and KakA? could replace Ronaldo on the basis of his impressive performances so far. 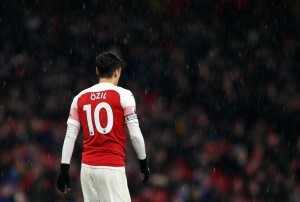 The Brazilian, if match-fit, will play as the primary play-maker, pushing A�zil to the right with the duo interchanging positions for better fluidity and to utilize any space in Levantea��s defensive third. Angel Di Maria and Benzema will reprise their usual roles and will be expected to put a dent in Levantea��s defense with their trickery and finesse. The front four will have a very difficult job on their hands in case Levante decide to stay defensive and with Ronaldo in doubt, the threat from long range decreases considerably. Real Madrid need to be clinical and very effective with the ball and create opportunities by spraying the ball intelligently rather than making mindless runs into the opposition. The finishing also has been below par and Benzema, in the expected absence of his illustrious Portuguese team-mate, needs to ensure that he takes his chances and convert most of them. Xabi Alonso needs to dictate the tempo of the match and Sami Khedira could make a come-back to the squad. CoentrA?o has been good but Khedira is better, as he offers much more in defense and is rarely caught out of position. The defense might have a lesser burden but any small mistake from them could prove to be disastrous. Carvalho has not been spectacularly good and looks a bit jaded after his national team fiasco. Mourinho could be tempted to start Arbeloa as the rightback and put Ramos in the centre as Pepea��s partner. 1. The Merengues have had their highest-scoring start to a top-flight campaign since 1987/88, when they scored in 11 in two games. 2. Levante and Sporting de Gijon were the only two sides not to concede a goal to either Cristiano Ronaldo or Messi in Liga BBVA last season. The Brazilian playmaker has shown glimpses of his former self in the few minutes he has got so far. 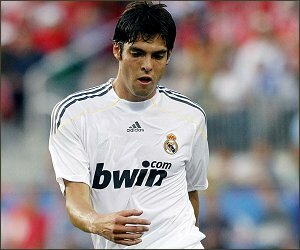 With Ronaldo in doubt for the clash, KakA? could get a chance to impress Mourinho and the fans and stake a claim in the starting line-up of this immensely talented outfit. Against Getafe and Dinamo, Real Madrid never actually looked dominating. Mourinho needs to make sure that his team dominate opponents and wrest control of the match rather than endure nervous moments. Levante can be a tough side to crack but Real Madrid will always have the advantage thanks to their players and manager.